NiGHTS Community says They know It’s Out…How? Today, the fan site NiGHTSIntoDreams.com held a video support stream to rally fans to bring NiGHTS, one of many Sega icons, into playable form in Sonic and Sega All-Stars Racing. The broadcast was the first step in a multi-pronged approach to gain support, including an E-Mail campaign, attempts to flood other fan forums with the news, and a purported fan bet to burn all owned merchandise if the character did make the cut. The problem is, there’s no substantive evidence to affirm the exclusion. Much of the effort rests on the words of a few fans, chief among them DiGi Valentine, who today proclaimed he knows for certain NiGHTS won’t be in. And that bet he made about burning his stuff? It won’t happen. DiGi and other NiGHTS fans are urging the community to let Sega know that NiGHTS is wanted. As fans of ToeJam and Earl are fighting their own battle for a potential DLC slot, these fans have started a similar effort. But two things make the NiGHTS push different: The clear lack of information available to affirm the shutout, and the aggressive and sometimes tense efforts put forth in spite of that. “I’ve known for 2 months now but as I said in the video I wasn’t sure how to go about it,” DiGi writes on the SSMB, without citing any source or other supporting piece of information. It is a tough task–not just because Sega’s official outlets have kept mum for the past few months on NiGHTS, but also because like that bet, DiGi apparently wasn’t so certain about his hypothesis five days ago. “My outlook on NiGHTS is that I BELIEVE he is not in the game,” he wrote November 13th on the NiD fan forum–a clear difference from the sure shutout now being promoted by the NiGHTS community. Still, that has been enough to rally fans to, among other things, send copious amounts of E-mails to various divisions of Sega and Sonic Team, attempt to control discussion about the controversy on other forums, and even try to establish talking points on the subject with the gaming media. You know the rules on this one. 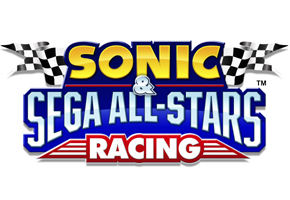 “NiGHTS is NOT a playable character in AllStars Racing outside of DLC.” So show support for DLC of NiGHTS. I will only burn our stuff if I’m proven wrong about NiGHTS being playable in the main final game that ships next year, outside of DLC. Because he is not. The only way NiGHTS will be playable for ASR is via DLC, at which point the bet is void because it’s inside DLC. Now go, spread the fuss, make the noise, give SEGA their bloody numbers. And let’s do this sh!t! READ IT CAREFULLY BEFORE YOU SPREAD THIS NEWS. “DiGi Valentine from NiGHTSintoDreams.com knows NiGHTS is not a PLAYABLE character in ASR. He’s so certain of this he has made a bet. The bet stands at that he will burn his entire NiGHTS merchandise collection should he be proven wrong on the fact that NiGHTS is not a playable character in ASR outside of being DLC. He has tried to raise awareness of NiGHTS being absent from the final character roster via other methods but nobody would believe what he was telling them as NiGHTS is an always expected. DiGi knows NiGHTS is not playable and therefore has made this bet to prove his campaign is legit in it’s information. Just take that and work with it. I’m writing this after the video, I’m really really tired right now. As long as you state – “NiGHTS is not PLAYABLE in ASR” instead of “NiGHTS is not in ASR”. Don’t twist my words because I know what I’ve been saying. So far, NiGHTS enthusiasts have hit forums on not just the Sonic Stadium, Sonic Retro, and the official Sega forums, but also IGN, Gamespot, NeoGAF, Giant Bomb, and Gametrailers, among many other general gaming forums. Mass E-Mails also purportedly hit Sega’s French division, and Tweets are in to Sega’s feed, the former merited response by the company. We do not know the tone that response had, but we do know the NiD community has asked its supporters to cease E-mailing that division. We also know that Steve Lycett did respond to the offensive directly, before it was turned up. He would not confirm or deny the existence. Still, there is a fine line between awareness and extremism. Has that line been crossed? The notion that the campaign would knowingly attempt to control media output of the issue is troubling, especially as the campaign itself has nothing to prove a theory that, in a span of five days, has been clarified, if not contradicted. Some outlets have fallen into the trap. We have not, and with good reason: In August, during the Summer of Sonic, we published two articles detailing a Q&A with members of Sumo Digital. In the course of the conversation, NiGHTS was namedropped, perhaps accidentally, and several in the community–including us–believed that to be confirmation of a return appearance, a notion DiGi disputed on our site. We have not retracted those articles. This news, combined with the current thinking that most primary characters from Sega Superstars Tennis will return (Ulala has already been cited in a Nintendo Power article) and the sheer overpowering nature of the campaign has some fans scratching their heads. “I’m not believing this whole ‘NiGHTS isn’t playable’ until I get solid proof,” wrote Vatek on the Sega forums. He is one in a chorus wondering where this information stems from. That was one of the nicer comments of opposition. Despite the skepticism, the campaign has its followers. Many Sega fans are admittedly following the campaign knowing full well the lack of supporting evidence. That may the core of the issue–the almost complete lack of information on both ends of the debate. Aside from the two articles we published, the release of who will be who in ASR, aside from a few potential flubs–has been tightly controlled. Many fans speculate a proper NiGHTS announcement could arrive during the Holidays, which is around the corner, and may be the most appropriate time given the franchise’s history. Wherever the truth lies, however, may not explain nor excuse the tough tactics executed by the NiGHTS community to ensure they are represented in ASR. There are many questions to consider in our comments section, chief among them is whether all of this is necessary, or too extreme. We welcome your discussion.